You'll be £20.00 closer to your next £10.00 credit when you purchase ShipCraft Special: Grand Fleet Battlecruisers. What's this? The 'ShipCraft' series provides in-depth information about building and modifying model kits of famous warship types. Lavishly illustrated, each book takes the modeller through a brief history of the subject class, highlighting differences between sister-ships and changes in their appearance over their careers. This includes paint schemes and camouflage, featuring colour profiles and highly-detailed line drawings and scale plans. The modelling section reviews the strengths and weaknesses of available kits, lists commercial accessory sets for super-detailing of the ships, and provides hints on modifying and improving the basic kit. This is followed by an extensive photographic gallery of selected high-quality models in a variety of scales, and the book concludes with a section on research references – books, monographs, large-scale plans and relevant websites.rnrnThis volume follows the format of the highly successful Flower Class where the extent has been doubled to include far more illustrations of the many different designs, from the Invincible of 1906 to the Renowns of 1915, and including the hybrid 'large light cruisers' Courageous, Glorious and Furious. 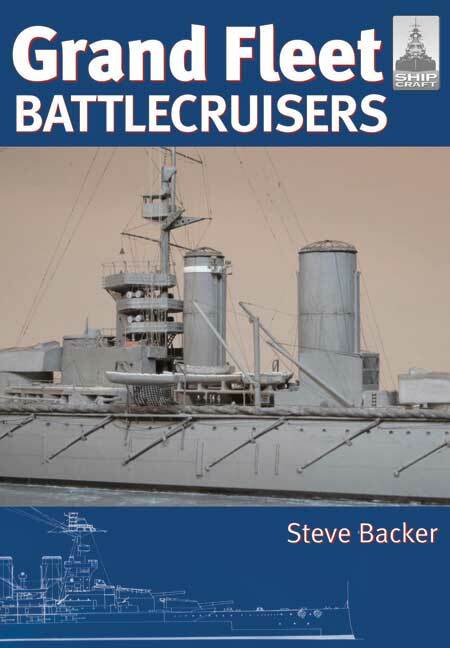 With lavish pictures and large amounts of detail on the battlecruisers' appearance, this book is intended primarily for ship modellers or for those who would like a little more information on the battlecruisers' design and history. This excellent book is one of the ‘Ship Craft’ series aimed principally at model makers. It contains a wealth of information about the origins, operational employment and appearance of the Royal Navy’s battle – cruisers between 1914 and 1919, however, which makes it into a more general reference work on the subject. About half the book is devoted to a survey of the model products available and there are colour photographs pf component parts and finished models. Models of all the Grand Fleet battlecruisers are available, many of them in a variety of different scales. Whilst this section gives modellers examples and encouragement to achieve excellent results, it also gives more general readers an insight into the construction and detailed appearance of these ships that is simply not available in any other published work the reviewer is aware of. Aircraft operating arrangements in all the ships that had them and especially those in HMS Furious up to 1919 are included in this section. Lastly, the constant scale plans and side elevations by George Richardson give an excellent idea of the growing size and complexity of these remarkable warships. In summary this is an excellent source book for anyone interested in making a model of a Grand Fleet battlecrusier to any scale and is highly recommened for that purpose. A book to enjoy and if you want to try your hand at ship modelling, this is sure to give you plenty of inspiration. This is the standard that modelling reference should achieve but so rarely does. Everything about it, from the style of the prose, the choice of photos and the wonderful modelling section simple scream class. I honestly cannot think how this book could have been improved, it is a wonderful reference for battlecruiser aficionados and modellers alike.